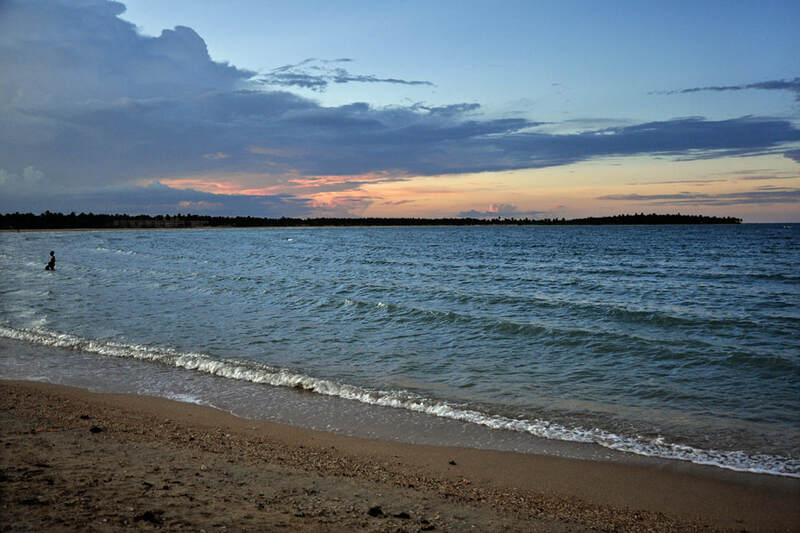 Pasikudah to the north of Batticaloa has become the most important beach resort at Sri Lanka’s East Coast. After the end of the civil war in 2009, Pasikudah was developed into a new destination for foreigners who prefer relaxing beach holidays in comfortable mid-class hotels of the 3-star or 4-star category. In contrast to the southwest coast, which is dry and sunny during the local peak season between Christmas and Easter but wet due to the monsoon climate during northern hemisphere summer months, the East Coast with its anti-monsoon climate is perfect for summer holidays. Pasikudah Beach is perfect for such a tourism development project, because it is the safe for swimming, suitable for families with children, as the bay is protected by a reef and the water is shallow. Actually, people can walk kilometers into the sea without losing ground below their feet. The sea is not deeper than 1 meter in Pasikudah Bay.